Even if you’ve never traded a share of stock, you probably have heard the term “high-frequency trading” or HFT. HFT firms use complex algorithms to make money off microscopic moves in the price of stock — a form of arbitrage — that almost guarantees they will make money. Imagine, for instance, that someone passed a rule, in the U.S. stock market as it is currently configured, that required every stock market trade to be front-run by a firm called Scalpers Inc. Under this rule, each time you went to buy 1,000 shares of Microsoft, Scalpers Inc. would be informed, whereupon it would set off to buy 1,000 shares of Microsoft offered in the market and, without taking the risk of owning the stock for even an instant, sell it to you at a higher price. Scalpers Inc. is prohibited from taking the slightest market risk; when it buys, it has the seller firmly in hand; when it sells, it has the buyer in hand; and at the end of every trading day, it will have no position at all in the stock market. To most, this seems like an unfair and abhorrent practice, existing as a consequence of the speed in which technology has evolved and been specifically adapted for the stock market. But that would not be correct. Today, it’s hard to imagine a world where New York City is not the center of finance and information doesn’t fly to the farthest corners of the globe instantaneously. But there was a time in this country when there was not one stock market, but many stock markets. 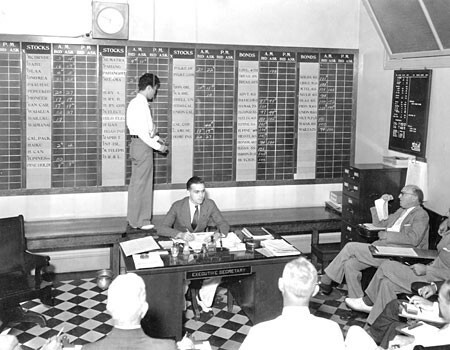 Before modern communication networks were developed, stocks, bonds, futures, and commodities were bought and sold on regional stock exchanges across the country. Major cities like New York, Chicago, Boston, Philadelphia, San Francisco, and Los Angeles had their own exchanges, but so did some not so major cities like Hartford, Spokane, Richmond, Minneapolis, Colorado Springs, and Pittsburgh. There was even a Honolulu Stock Exchange which traced its roots back to the mid-1800's. As you can imagine, the information flow between these semi-autonomous exchanges was not exactly efficient. It was not uncommon to find a stock, like General Motors for example, trading for one price on one exchange, and a different price on another. 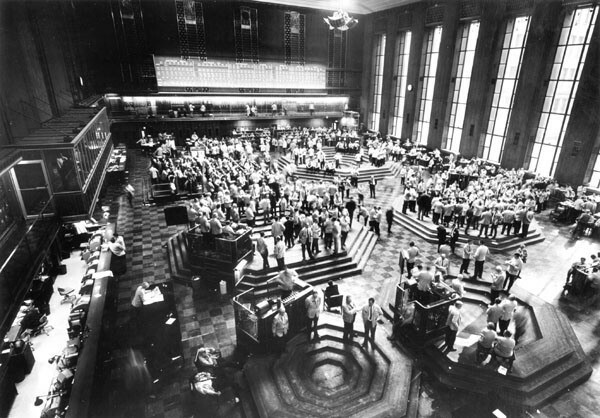 Back then, stocks traded in fractions instead of cents, so you might find GM trading with an ask price (the price at which you can buy it), of $65 1/2 on the New York Stock Exchange. At the same time, it might be trading with a bid price (the price at which you can sell it), of $65 3/4 on the San Francisco Exchange. If you had this information and acted quickly, you could simultaneously buy shares at $65 1/2 and sell them at $65 3/4 — locking in a risk-free profit of 1/4, or $0.25 per share. But this unfair and abhorrent practice took place infrequently until a piece of technology evolved and was specifically adapted to the stock exchange. That technology was the telephone. Fast forward to a time when hair was feathered, pants were flared, and the sound of disco pumped out of the FM dial — The late 1970's. A former prison guard with a degree in philosophy had just set up a new trading firm called Commodity Research and Trading, and to say the odds were stacked against him would be an understatement. Joe Ritchie was so short on cash for his new company that he wore a borrowed business suit to meetings and laid an old door across two boxes for his desk. But Ritchie understood the power of technology. He understood the power of the telephone. Ritchie’s firm was the only one at the time with a phone in the silver trading pit in Chicago as well as one in the pit in New York. With this technological advantage, his traders could call each other and transact an almost risk-free arbitrage of silver between the two pits. Eventually, other trading firms got wise to this “phone thing” and started having their own lines installed in the pit — effectively negating any advantage that Ritchie and CRT had — but not before he made a boat load of money. 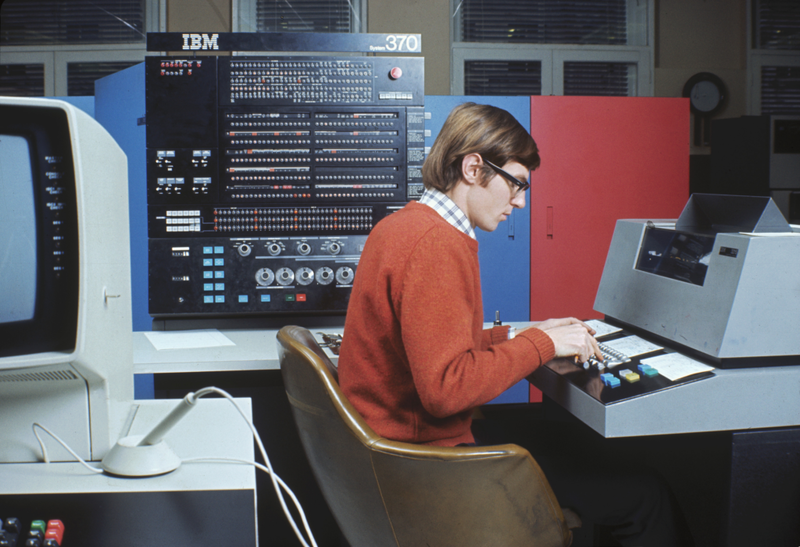 Ritchie went on to greater success, revolutionizing the way options were traded, but to some, he will always be thought of as the original high-frequency trader. Brian Lund is a veteran trader with 30 years of market experience and VP of Business Partnerships at SparkFin. The SparkFin app is a free and easy way to get new stock ideas every day. So do us a favor — download SparkFin from the iTunes store — and then go crush the market.